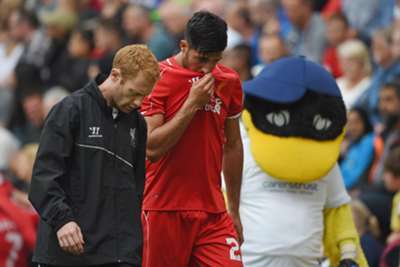 New Liverpool signing Emre Can has tipped the club to shine in the UEFA Champions League this season. The Anfield outfit – five-time winners of Europe’s premier club competition – have not featured in the tournament since the 2009-10 season, when they fell at the group stage. Since then, Liverpool’s continental involvement has been restricted to three runs to the knockout rounds of the UEFA Europa League, but a second-placed finish in the Premier League last term earned them a return to the promised land of the Champions League. And Can, who made seven appearances in the competition for Bayer Leverkusen last season, feels that confidence is high among his team-mates. “I am really confident about us going into the Champions League this season,” he is quoted as saying by the Liverpool Echo. “The whole team, the whole club and the city is looking forward to getting back in the Champions League because Liverpool haven’t played there for a couple of years. Can arrived on Merseyside from Leverkusen in June.